I am pleased to be co-hosting a week long Edutour with Sydney colleague Anne Knock. Anne is an expert educator, learning designer, speaker and writer with a wealth of experience in running international study tours. There is so much happening in Christchurch, Ōtautahi so it’s fabulous to be able to showcase some pretty amazing learning, innovation and collaboration. Our current project explores how Christchurch, Ōtautahi, can become a learning city. 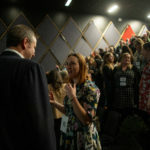 This involves connecting learning opportunities across the city – businesses, schools, tertiaries, communities – coming together to make a positive difference to our city. It’s connecting the dots of what is already happening, it’s grass roots initiatives, it’s about equity. The Learning City Christchurch Charitable Trust launched in October. As yet we don’t even have a website but there is a whole lot happening behind the scenes. Our website will launch early in the year so watch this space. Hamish and I are coordinating a two-day Future of Learning conference in 2019. If you are interested in speaking or attending you can use the contact box to get in touch! Cheryl was a finalist in the Westpac Women of Influence Awards 2017, in the Innovation and Science Category. 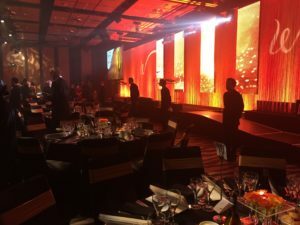 The Awards Dinner was held in Auckland on 7 September. Cheryl was on the organising committee for the Blockchain to the Future Conference, held in Brisbane 27 – 28 October. Day One focused on Strategic Foresight and Day Two explored the emerging and future impacts of blockchain technology. This gathering was hosted by the Association for Professional Futurists.